Seriously, no matter who you are, armchair quarterback, athlete, tall or short, young or old, you can just defy gravity in the trampoline park. In a trampoline, jumping up and down on a trampoline is totally not a mere thing you can do. Except for the trampoline, there are many other trampoline park equipment you can use to practice your tricks, compete with your friends, or test your skills. Now, we are going to figure out how much trampoline park equipment a trampoline park may possess. Ninja Warrior Course: For athletes who deadly want to push themselves, the Ninja Warrior Course will help them put their abilities to the top. Also, their agility, strength, and speed will be trained when they are taking on various obstacles. Trapeze & Swing: Just keep on trapezing or swing until you get the highest point. In that point, you should just let ropes go and grab some air, then prepare to dive into a huge foam pit! Zip Line: Hold on the moving handle driven by electricity! You can soar through inside the park until you get ready to let it go and land into the giant foam pit. Zip Lining has never been more exciting! Parkour Blox: Want to level up? 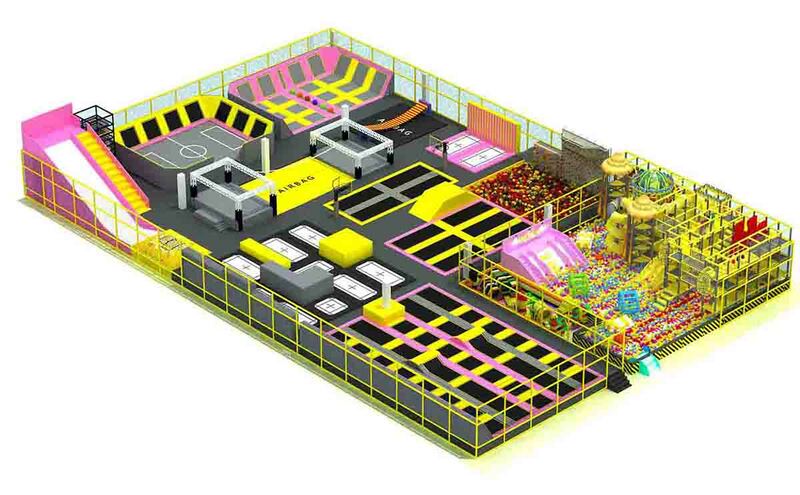 The foam vault blocks on the freestyle court will help test your parkour skills and bring it to the next level. Also, you can train your strength, speed, and power through practicing on hurdles put in your path. Free Climb: No harness! Do you have the courage to challenge this bouldering wall? Get your stamina and strength ready to free climb the wall. Ultimate dodgeball: Ultimate Dodgeball is a high-flying and exciting game, which will offer you and your family or friends a new way to have fun together. In this crazy game, the dodge ball will fly the same as you and your teammates, while you are jumping and swerving to tag players of other team or just avoid the ball. Warped Wall: There are various platforms build on different heights, so the Warped Wall can bring out everyone’s best athlete. Battle Beam: Try to knock your enemy off the balance on the narrow beam, so you can level up your jousting game. Battle for the glory when you are fighting to the fall-into foam pit this is. Silks: You can climb, spin, or practice your aerial stunts over the foam pit with the help of aerial silk fabrics. You always have the different options to find your favorite way, for example, swing your way across, spin around and around, climb to the top. Tug of War: Grab your friend and make a competition with them in a test of strength. In a round of Tug of War, you can be the winner because of your better strength or you will dip yourself into the foam! SkySlam: In this game, hoops of a variety of heights can meet the different demands of all jumpers. Just dunk like an NBA superstar and you can rock the rim! SkyLadder: A challenge for your balance. Try to climb to the top of the fidgeting ladder and plant your flag on the top point, you will be the warrior. If you fail to achieve this and fall into the padding accidentally, then you need to get up and have another try. Freestyle Jump: Defying the gravity and grab some air to soar over the sprawling wall-to-wall trampoline courts. Try to show off your acrobat or challenge your friend with flipping or jumping to a new height. Foam Zone: The Foam Zone is an ideal place to test your daring stunts as you bounce off the spring mat and jump into the pool of huge foam squares. Those huge foam squares are so soft that you will feel like surrounded by cloud. Foam Pitt: The two long lanes there can impel you into the giant foam pit, which consists of thousands of foam cubes. You can spin, flip, or fly casually over and over again. Wipeout: When the arm spins faster and faster, try your best to dodge and hop over the arms, or you will be wiped out. It really tests your stamina, agility, and speed. Gymnastic Tumble Tracks: On the easy-to-land-on, also safe tumble tracks, you can master your tumbling gymnastics and cheerleading. You can do the front flips, cartwheels on the tumble tracks or just perform any motions you like! Air Bag: Bounce off three separate trampolines as high as you can to show off your tricks and jumps. At the highest point of your jumping, get some air and ready to land gently into a huge airbag. Ropes Course: Let go of the gravity, and just enjoy the exciting hang time. You can’t be even safer with the secure harness when you are testing your balance and agility in the hanging adventure. Differ from the indoor trampoline park, which has limited space, the outdoor trampoline park has no limits! So, the equipment of the outdoor trampoline park can be everything you can imagine. For example, Roller Coaster, Scrambler, Go-Karts, Bumper Cars, Frog Hopper, Baja Buggy, Drop Zone and etc. With these equipment, you can try many different activities in an outdoor trampoline park. You can scream and laugh loudly with your friends or families on a Roller Coaster trip, or experience the high speed in a scrambler. You can do so many different things with those trampoline park equipment. Through this brief presentation, you can see a fact that a trampoline park is always more than a trampoline park. 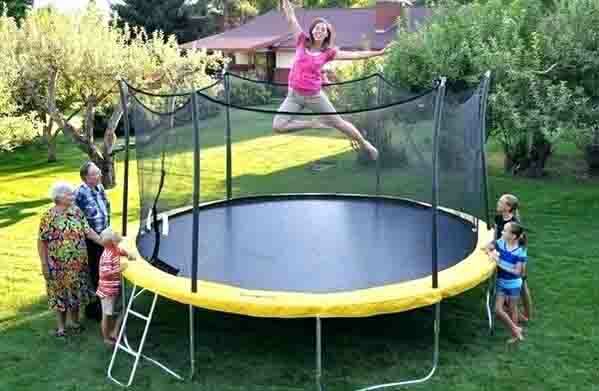 Except for jumping and flipping on the trampoline, you can find so many other activities to get your own fun! 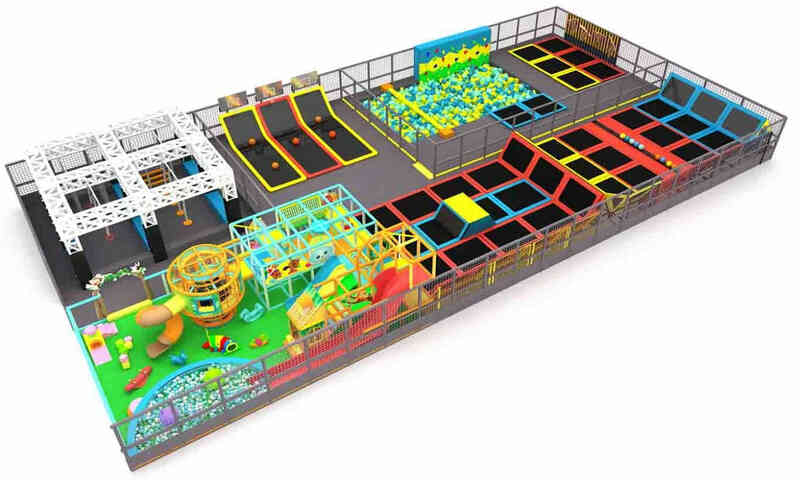 This entry was posted in blog and tagged trampoline park.